Everything You Need to Know About Buying a Home! Brandi Hunter-Lewis is a graduate of the University of Georgia, where she was a member of the women’s basketball team which won two SEC Championships (96’, 97’) and twice adorned Final Four honors (95’, 96’). She is currently a Real Estate Consultant with Keller Williams Realty of Buckhead, where she has won numerous sales awards. She is a Lifetime Member of the Atlanta Board of Realtors distinguished, “Multi Million Dollar Club.” Her designations include Accredited Buyer’s Representative and the prestigious Certified Luxury Home Marketing Specialist, which are the benchmarks for excellence in buyer’s representation and luxury homes. She is in the top 5% of production for agents in the highly successful Keller Williams Buckhead office. 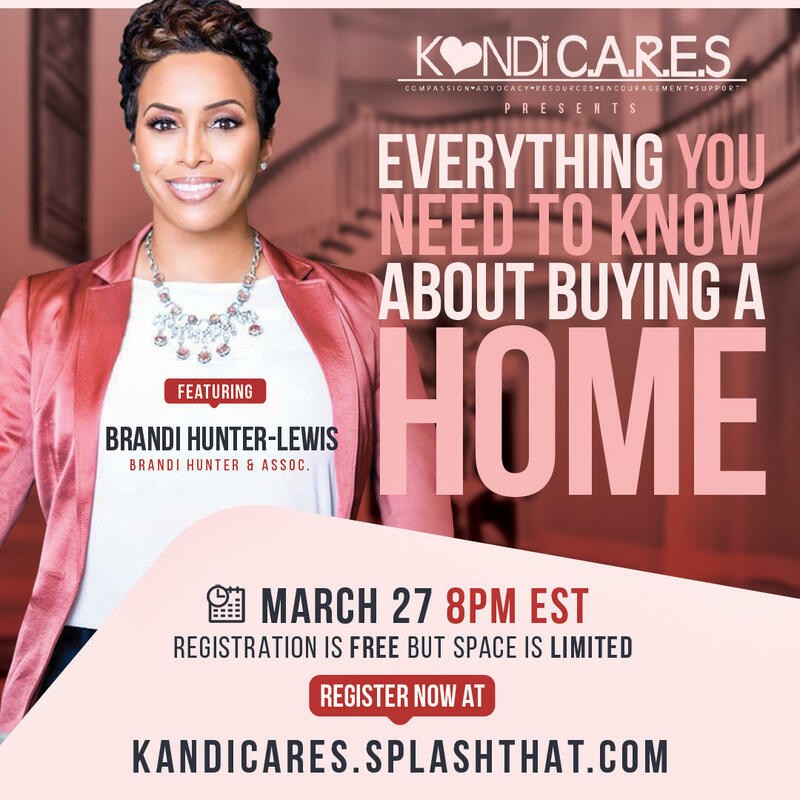 She has created a unique niche by becoming the go-to Realtor for NFL and NBA athletes, distinguished professionals, and for Atlanta’s high profile entertainers and Reality TV stars, including the likes of the “Real Housewives of Atlanta” personalities, Kandi Burruss and Phaedra Parks. Brandi is a life member of the UGA Alumni Association and a member of Delta Sigma Theta Sorority, Incorporated. Her most proud accomplishments are recently marrying the love of her life, Ryan Lewis, and her 3 sons, Jaden (19), Chase (17) and Dillon (15), who are very active and talented student-athletes. Jaden was awarded a football scholarship at the University of Georgia, and Chase and Dillon are making their own mark, respectively, as 2 of the top basketball prospects in the country. Brandi prides herself in making God and family her priority, all while growing a thriving brand and real estate business. Her ultimate goal is to use her platform to inspire other women, particularly widows and those who have endured significant loss, to overcome their circumstances and live a life by design.